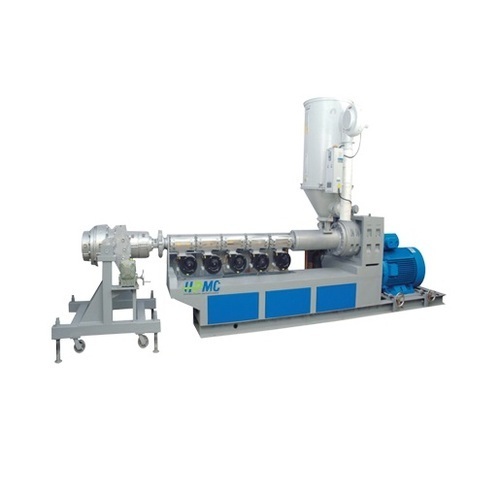 We offer high speed HDPE extrusion line which is available in different models such as HPMC 65GF, HPMC 75GF, HPMC 90GF. 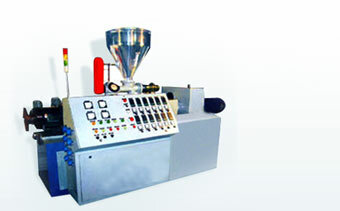 The machine finds usage in the extrusion of polyolefin plastics. 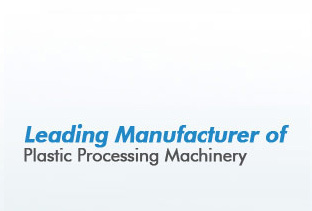 The plasticized capacity of the extrusion line ranges from 175kg/hr to 600 kg/hr. 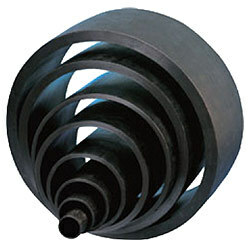 Spiral type die head ensures stable wall thickness of PE pipe even at higher output. Low pressure diagonal channel with spiral mixing part ensures extrusion at low temperature and homogeneous plasticization. The screw adopt barrier type mixing zone. The barrel feeding zone is groove feed bush and made of hard alloy. There is an option for the whole line with PLC control system and large liquid crystal screen which makes the operation very convenient. Special design vacuum sizing can ensure the stability of diameter and roundness even when producing the pipe with higher wall thickness. The water spray unit produces high speed spray vortex to achieve fine and even cooling effect. Double station coiler can be provided for diameter up to 63mm. Single station coiler can be provided for diameter up to 110mm. Applications of HDPE Pipe include for irrigation/ agriculture, industrial effluents, sprinkler system, tube wells, slurry transportation, portable water supply, gas transmission, sewerage & drainage, chemical industries, irrigation drip, sprinkler and lift irrigation, potable water, drainage, sewage transportation. Other than this, HDPE pipes also find use for handling of Industrial Chemicals, processes involving dewatering in mines, as dredge pipelines and others. 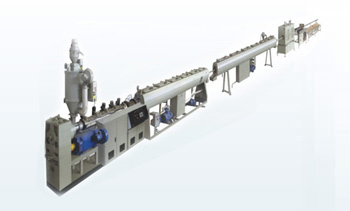 These pipes are developed using latest technology based HDPE extrusion line with high speed extrusion line and industrial cutting saws for precise production operations. Some of the advantages of these pipes include little branching that provides for stronger intermolecular force and tensile strength, comparatively harder and more opaque finish, capability to handle higher temperatures and others.High-density polyethylene (HDPE) or polyethylene high-density (PEHD) is a polyethylene thermoplastic made from petroleum. It takes 1.75 kilograms of petroleum (in terms of energy and raw materials) to make one kilogram of HDPE. The mass density of High-density Polyethylene can range from 0.93 to 0.97 g/cm³.Although the density of HDPE is only marginally higher than that of Low-density polyethylene, HDPE has little branching, giving it stronger intermolecular force and tensile strength than LDPE. The difference in strength exceeds the difference in density, giving HDPE a higher strength. It is also harder and more opaque and can withstand somewhat higher temperatures (120 °C/ 248 °F for short periods, 110 °C /230 °F continuously). High-density polyethylene, unlike polypropylene, cannot withstand normally-required autoclaving conditions. The lack of branching is ensured by an appropriate choice of catalyst and reaction conditions. HDPE contains the chemical elements carbon and hydrogen.